4 images. Town hall meeting, 2 June 1952. 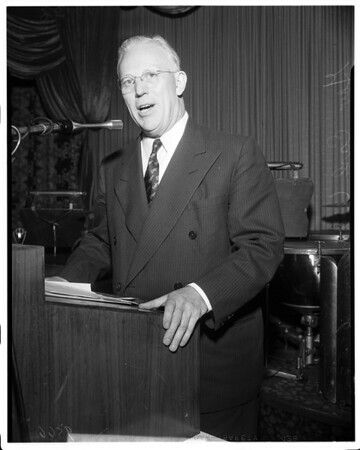 Governor Earl Warren.